Maj. Gen. (res.) 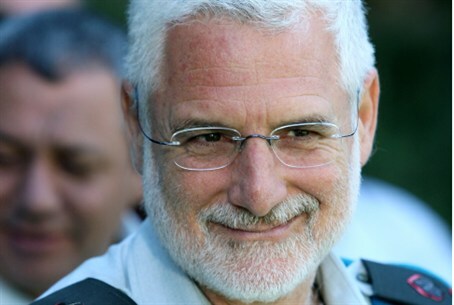 Dan Harel says Israel needs to stop supplying Gaza with water and electricity. Maj. Gen. (res.) Dan Harel said Monday that it is time for Israel to stop bearing the responsibility for the humanitarian condition in Gaza. Harel, who was Head of Southern Command during the 2005 "Disengagement" from Gaza, told IDF Radio that before taking other measures to solve the rocket problem, the basic "equation of relations" between Israel and Gaza needs to be changed. "We carry Gaza on our backs," he said. "I do not know if Israeli are aware of this, but we supply Gaza with all of its needs. We supply it with electricity, we supply it with water." "The situation today is absurd," he added. "They fire rockets at us from Gaza and in response, we supply them with water and electricity. This absurd has to stop." He said that the blockade of Gaza needs to be lifted. In this way, he said, Israel will not be responsible for the humanitarian situation there. He did not explain how Israel would prevent heavy rockets and other munitions from entering Gaza, if the blockade is lifted. Harel has said, after his release from the IDF, that the "Disengagement," as the unilateral withdrawal from Gaza was called, was a mistake.